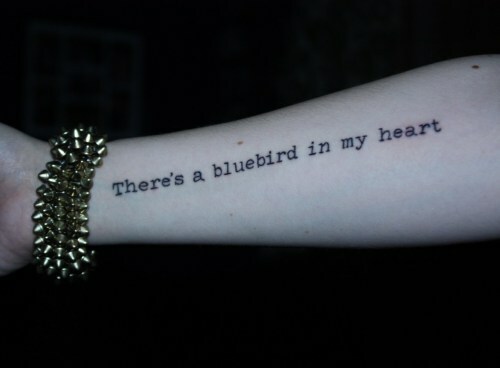 "Bluebird" was published in 1992 in 'The Last Night of the Earth Poems', the last book of poetry that was published whilst Bukowski was still alive. Bukowski didn't show his softer, vulnerable side very often. 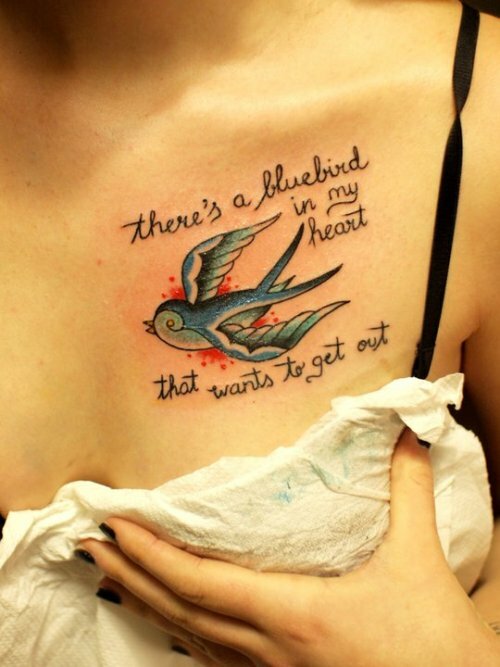 The metaphorical 'Bluebird' kept hidden so not to tarnish his reputation as a 'tough guy'. 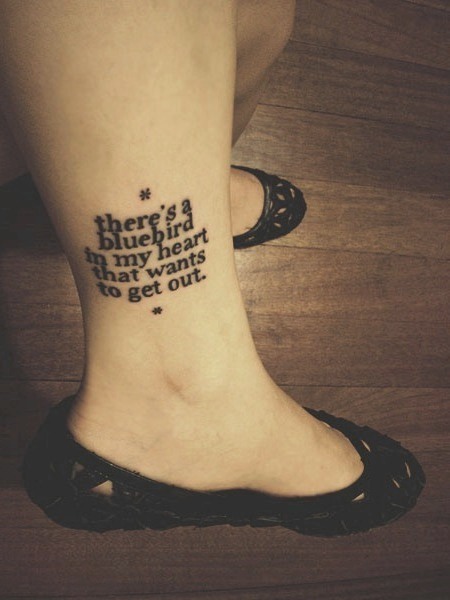 That is probably why the poem is so popular, why so many people connect to it, and why so many people have Bluebird tattoos. Hadn't thought about this poem in quite a while. It was good to read it again, along with your ramblings, so thanks for that, and especially the tattoos.